You are currently browsing articles tagged Atlantic Ocean. The First Presbyterian Congregation in America? This writer puts a question mark in our title simply because there are several churches which claim to be the first Presbyterian Church in the colonies. Each of them presents its claim with good evidence. Sometimes a claim is based on the existence of at least one elder. Or the stated date of organization might be based on when Bible studies first began in a given location, or when a building was first occupied by the congregation. Time and poorly kept records leave all of this unclear. But what is clear about Rehoboth Presbyterian Church in Rehoboth, Delaware is, that it is the first Presbyterian Church built by the Father of American Presbyterianism, namely, Francis Makemie. “Our mission was from Jesus Christ, and warranted from the Scriptures.”—Makemie. There are actually two dates of October 15 associated with Makemie. The first one took place in 1699 when the Irish immigrant minister appeared before the County Court of Accomac to request permission to preach the gospel in Virginia. Many Christians, and especially Christian Presbyterians do not realize that those minister/missionaries outside of the Anglican faith had to apply for licenses to preach the gospel. Further, if you were not attending an Anglican, or we would say today, an Episcopal church, there could be civil penalties for not attending church. He asked permission to preach at two homes. It was on October 15, 1699 that permission was given to him. Later on, an Act of Toleration was granted for all ministers to freely worship and proclaim Christ’s truth. But before that, preachers could be arrested and held in jail for daring to preach without a license. Francis Makemie himself was arrested in New York for doing just that. 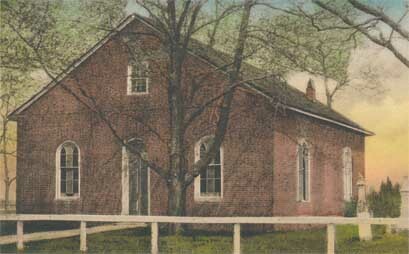 The other date associated with this date of October 15, 1706 was when Rehoboth Presbyterian Church of Maryland, was opened by the Rev. Francis Makemie. 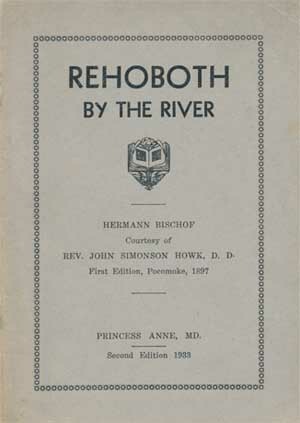 Rehoboth meant “There is Room.” Later in the eighteen hundreds, there was a great deal of physical construction done to the one floor church. Today this church continues on and it is currently a congregation of the PC(USA) in Rehoboth, Delaware. Words to live by: Suppose the Rev. Francis Makemie had not come to the shores of the American colonies, saying that it was too far, too expensive, too dangerous, and whatever excuse might be offered? Humanly speaking, we might not be writing a Presbyterian blog because there would have been no Presbyterian presence in the land. But that is “humanly speaking.” The truth is that the sovereign God ordained in the colonies that there be Christian Presbyterians as one of the key ingredients of our forefather’s faith. And did they ever come! Thousands upon thousands came over the Atlantic Ocean. And from our earliest days, the Bible of Presbyterianism was presented as the infallible Word of God, and God added to Himself a church, such as Rehoboth Presbyterian Church, in Delaware.